This week we’ve found ourselves in lovely and vibrant Croatia. Offering a taste of Eastern Europe but with an ideal location on the Adriatic Sea, it’s easy to see why Croatia tourism is booming. 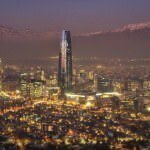 While the southern beaches and cities might garner the most attention, there is still much more to the country that you can’t afford to miss. Here we’ll cover some the best suggestions of where to go in Croatia. 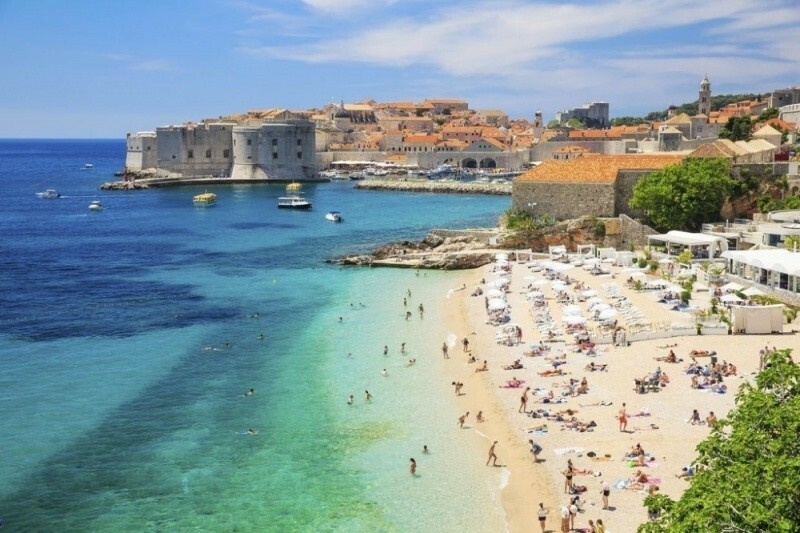 Croatia’s beaches and waters are some of the cleanest in the world, and most are found in an agreeable Mediterranean climate. There’s also a variety of coastal cities and towns ranging from the authentic to the more tourist-oriented. Moving into the interior, cities such as Zagreb offer tons of cultural events and historical sites. There are also lesser-traveled countryside, mountains, and parks that are just as spectacular as the coast in their own way. All in all, Croatia offers a tremendous diversity of experiences in a relatively small package. Since the late 90’s, Croatia has made great strides to improve its infrastructure. Though railways can be found in many parts of the country, the road network remains more comprehensive. As such, busses will likely be your best bet if you are travelling throughout the country. Today, the highways are among the most modern and safe on the continent. In addition, boats can get you from ports such as Split and Zadar to the popular islands off the coast. There are also airports throughout the country (many with budget airlines), but considering Croatia’s small size they shouldn’t be necessary for domestic transportation unless you’re on a tight schedule. Most of Croatia is relatively warm, though there is an abundance of rain in the interior, like most of Continental Europe. Snow can be found in higher elevation areas like Lika and Gorski Kotar. The Adriatic Coast enjoys a pleasant Mediterranean climate, which can get quite hot in the summer. The majority of the coast, in particular the offshore islands, enjoy high amounts of sunshine. Realistically, anytime of the year is a great time to visit Croatia, but expect big crowds along the coast, especially during the summer. The Dalmatian Coast is by far the most well-known and visited part of Croatia. Consisting of a narrow stretch of land in the southern portion of the country, Dalmatia is home to both mountains and a long beautiful coastline along the Adriatic Sea. The weather is warm and the waters are clean which is why a lot of people start and end their Croatian adventure here. We’ll focus on three specific locations within and around Dalmatia below, but there’s plenty to find beyond that. Numerous coastal towns can be found as you hop along the waters. In particular, the city of Zadar offers a glimpse into the rich history of Croatia – with churches and structures dating from the modern day to Roman times. Check out Pag Island as well (specifically Zrće beach) during the summer to experience one of the best party destinations in Europe. The food throughout the region is Mediterranean with some local flair, and is also a major draw. Realistically you could spend your entire trip along the Dalmatian Coast, just know you won’t be the only one. This is the jewel of Dalmatia, and of Croatia tourism, the “Pearl of the Adriatic”, and one of the most visited destinations in Croatia (and one of the most popular along the entire Mediterranean). 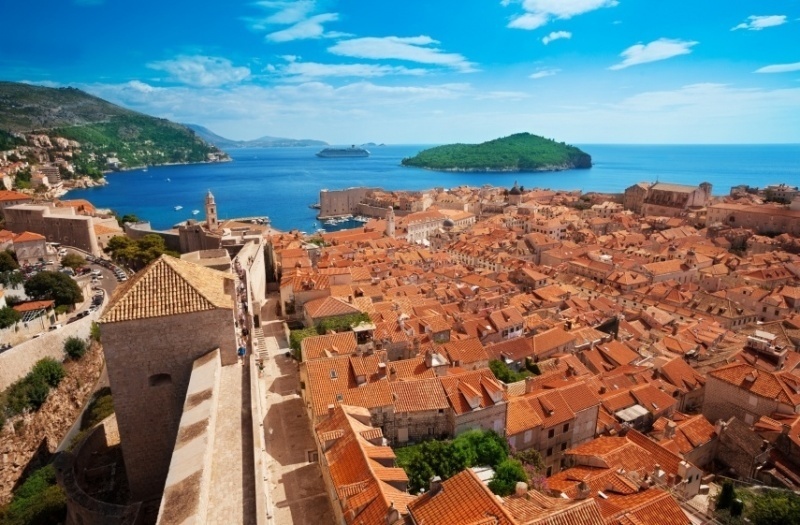 Surrounded by its famous city walls, Dubrovnik is a mash of cobbled streets, back alleys, old-timey buildings, squares, and more. With stellar views from the ramparts over the blue waters of the Adriatic, Dubrovnik appears to be something out of fantasy, not reality. Indeed, it has been used as the filming location for ‘King’s Landing’ on the TV show Game of Thrones as result. This has only added to the tourist interest in the city, so definitely be prepared for crowds. Still, it’s popular for a reason and the one place you can’t miss when visiting Croatia. 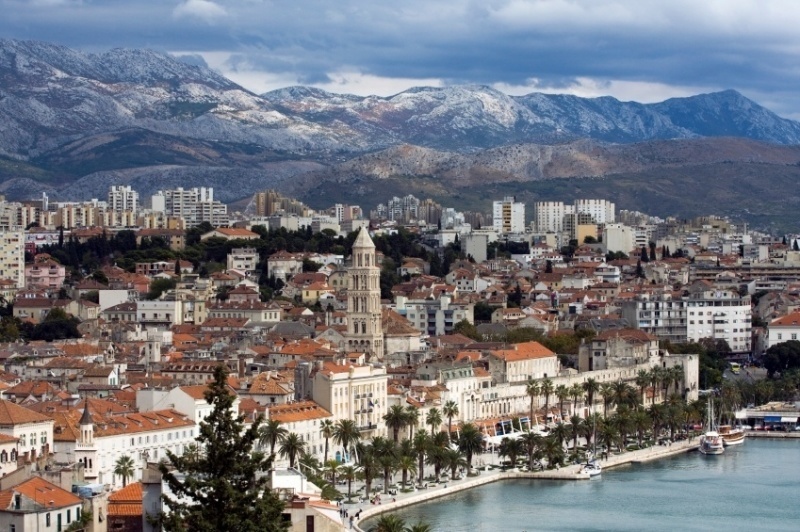 Although it’s also ideally placed along the Dalmatian Coast, Split offers a significantly different atmosphere. While Dubrovnik and other coastal towns in the region can feel like living museums at times, Split is a true working city. It’s the second biggest in Croatia and offers an urban escape from the rest of the region. The town can be an ugly jumble of buildings but the Old Town, bars, restaurants, and shopping represents a much more ‘realistic’ depiction of life in southern Croatia. That being said, there are still many sights to see, first and foremost Diocletian’s Palace from Roman times. Yet another filming location for Game of Thrones (there’s a pattern here), the palace today resides right in the centre of the city and has been designated a UNESCO World Heritage Site. Our last Dalmatian destination, Hvar Island, offers great beaches, famous wines, and is a top-notch party spot. 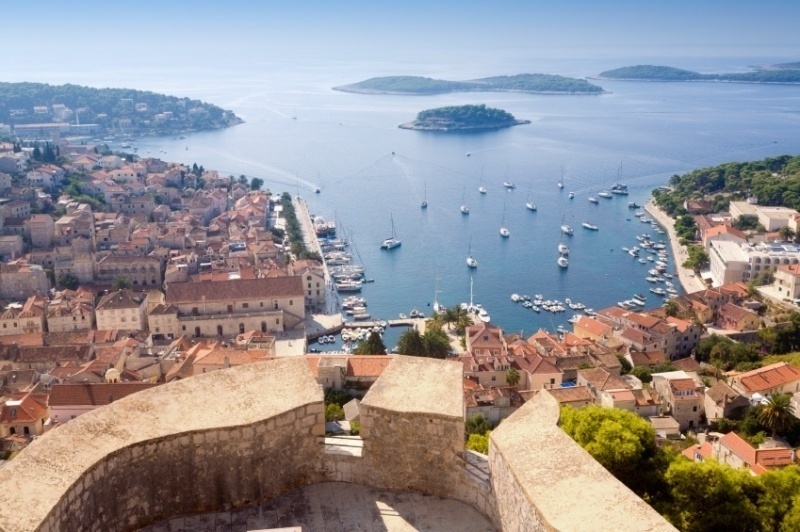 Advertised as the sunniest spot in Europe, Hvar sees its fair share of visitors. Hvar Town in particular is well known for luxurious resorts, restaurants, bars, and clubs. Together, this makes the island extremely expensive compared to neighbouring areas. Still, you get what you pay for and Hvar is definitely worth a visit if you can afford it. Summer festivals and the party scene are also very popular, though this too can be very pricey. If you want to save money check out the island of Korčula instead, but if luxury is your scene, Hvar is the place to be. As we move away from the southern coast, the crowds greatly diminish but the Croatian experience remains just as amazing. As the capital and largest city in Croatia, Zagreb offers a lively, metropolitan experience without bumping into tourists around every corner. Culture, great food, the best museums in the country, swimming, nearby hiking and skiing, and clubbing are available throughout Zagreb. It’s truly a great city to explore and discover. All things considered, it’s absolutely worth taking the road less traveled inland to this vibrant city and really getting a feel for the country as a whole. A short day trip north of Zagreb, this idyllic region offers spectacular vistas and culture with almost no crowds. Small villages and medieval castles dot the landscape of rolling hills, and it truly is as pretty as a picture. Zagorje offers an escape from both the bustle of the city and the tourists of the south. The buildings and food showcase a much different heritage here, being predominantly Austrian influenced. The weather, though pleasant, is cooler and offers a welcome escape from southern heat if you decide to travel in the summer. Also offering a truly magnificent experience are the hot springs round in the region. Despite the lack of crowds generally, expect an abundance of day-trippers from Zagreb on the weekends. All in all, Zagorje offers a much more serene getaway that can be easily experienced due to its close proximity to Croatia’s capital. 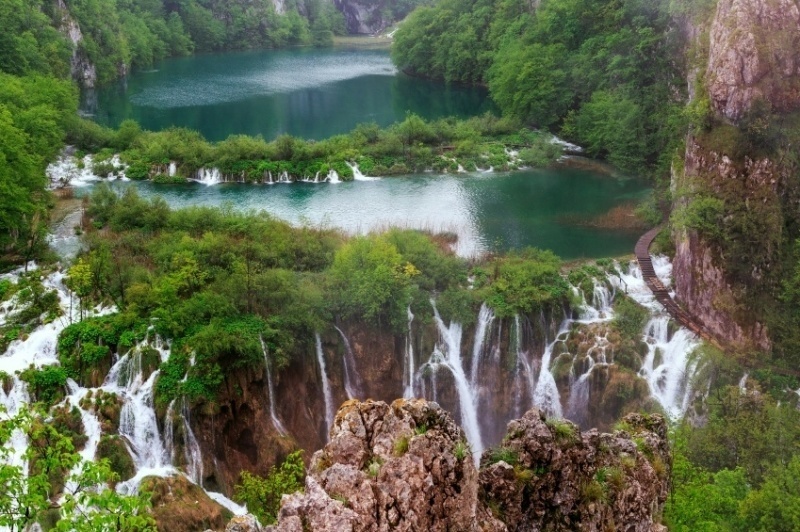 This stunning national park is the largest in Croatia and is found in the central part of the country, close to the Bosnia and Herzegovina border. The intense greenery and world-famous cascading lakes make this one of the most beautiful and unique natural destinations in Europe. The many waterfalls that result from this phenomenon can be easily viewed via a comprehensive network of footpaths and bridges that navigate the park. Buses, boats, and hiking trails (some steep) offer a great choice in ways to explore Plitvice Lakes. Istria is a large peninsula that borders the Adriatic Sea, the Gulf of Trieste, and the Bay of Kvarner. 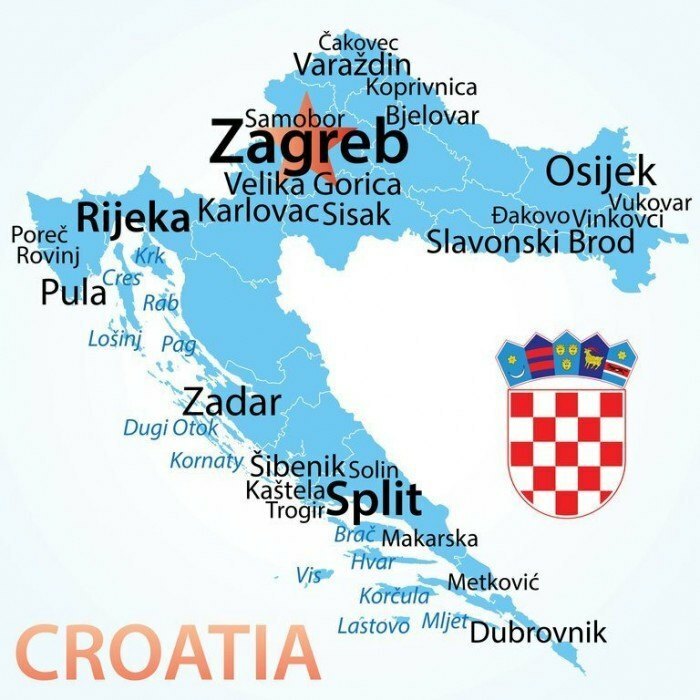 Though parts of the land are located in Slovenia and Italy, 89% of Istria is found in northern Croatia. Many charming coastal villages can be found here (and tourists will find them in the summer), but the interior of the region is also worth a gander and significantly less traveled. Cities worth visiting are the large Pula – famous for Roman architecture, and the beautiful coastal Rovinj. There is a distinct regional identity amongst those that reside in Istria, giving it a unique culture compared to other parts of the country. Throw in some great food and wine, and you have another can’t miss destination in the northern part of Croatia. Croatia tourism: How Much Does it Cost? Getting to Croatia from across the Atlantic is, unsurprisingly, the most expensive part of the trip. Round trip flights from Pearson to Zagreb will generally run at least $1000 Canadian, while trips to Split can be slightly more expensive. There are budget airlines that you can use to get to Croatia cheaply once you’re already in Europe if it’s not your only destination however. 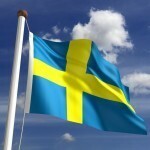 As always, adjust your arrival and departure dates, as well as your airline, in order to find the best possible rate. Keep in mind that even though Croatia is a new member of the EU, they do not use the euro. Instead, the currency used is the kuna. You may be able to complete some unofficial transactions (some restaurants, taxis, accommodation) in euros but don’t count on this. This shouldn’t have a huge impact on cost as the Croatian kuna is kept in a generally stable range with the euro. An average day’s expenses will run about $78, with a budget of $42 for accommodation and $22 for food. If you’re thrifty, you can likely get by with a budget closer to $32 per day while a more luxurious lifestyle can up your expenses to about $176 per day. Your costs will vary considerably depending on where you are and what you’re doing. Spending a day on Hvar will make a considerable dent on your finances while a day trip to Zagorje will likely be much more of a reprieve. There is no nationwide advisory for Croatia according to the Canadian government, with normal security precautions recommended throughout the whole country. As with any tourist hotspot, petty crime such as pickpocketing does occur. There are also ethnic tensions in some areas, though violence is rare. The crowd at soccer matches can become rowdy or violent, so use precaution if attending one. Don’t leave drinks or food unattended and be wary of accepting them from strangers, as they could contain drugs. Lastly, there are some areas where landmines are still leftover from the 1991-95 war. Make sure you stay out of fields, ditches, and shoulders in areas where there are signs alerting you to the presence of landmines. This is not a large issue in tourist areas, but be sure to contact the authorities if you do come across any unexploded landmines. Overall Croatia tourism is safe, fun and sure to be a trip you will remember. These are just a few examples of where to go in Croatia, there’s tons more to see and do. If you think somewhere else should be on the list, let us know in the comments. 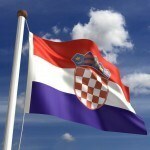 Check out our Country of the Week for more general information about the history and culture of Croatia.